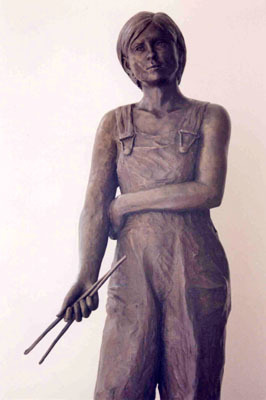 "The Painter" is shown on display at the 2005 "Sculpture Along Bear Creek" Sculpture Show and Sale in Keller, TX. Photograph by Kristina Krengel. 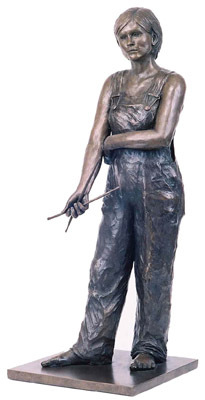 A young painter holds paintbrushes in her hand.